What is the best way to communicate with children who have both vision impairment and autism? Read some key principles and check out a fantastic resource to guide your work. 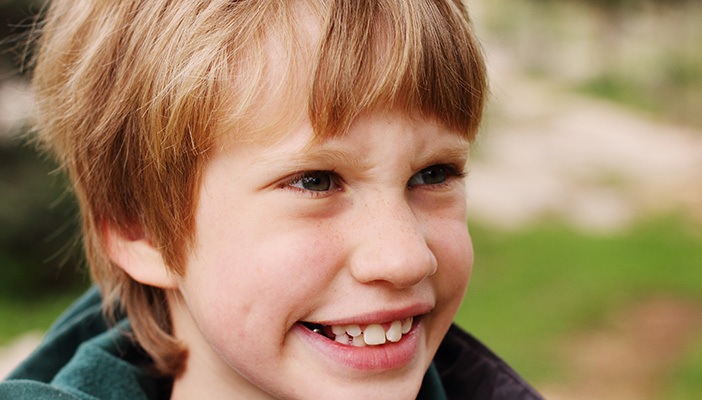 Many of the approaches used with sighted children who have autism, rely heavily on vision. Such methods aren’t always suitable for children who have little or no sight. Likewise, some of the teaching approaches used for children who have visual impairment may not be suitable for those who also have autism. Some strategies commonly used with visually impaired young people who have no additional needs are not recommended for use with young people who have visual impairment and autism. For most young people, spoken language and, later, written language, are crucial. For visually impaired young people, language has an even greater significance than for sighted learners, as it gives them access to many aspects of the world that are otherwise not available. However, young people with autism have difficulty understanding spoken language, so if they also have visual impairment practitioners need to augment their spoken language. Practitioners typically use a good deal of spoken language when working with most young people who have visual impairment. However, this is not appropriate when working with young people who have visual impairment and autism. These learners require practitioners to reduce their spoken language. Visually impaired young people often miss information about what is going on around them. Practitioners sometimes provide a verbal commentary about who else is in the room, and what is happening. However, because of the need to reduce spoken language for young people with visual impairment and autism, verbal commentaries should be avoided. Practitioners often re-cast their spoken language when a young person who has visual impairment doesn’t understand something – finding another way to put the question, instruction, description or explanation. But re-casting language is not appropriate for young people with visual impairment and autism: if they fail to understand, it is important to repeat what was said in exactly the same form as the original. Another strategy commonly used with visually impaired young people is to maintain contact through touch. For example, a light touch on the arm may reassure the learner that the practitioner is still present, or gain the learner's attention. However, many young people with visual impairment and autism dislike light touch and it may even trigger challenging behaviour. When supporting a young person with autism who has some useful vision, it continues to be appropriate to use strategies that present information in a visual form. However, practitioners supporting a young person with visual impairment and autism who has very little or no useful vision must rethink the strategies commonly used with sighted autistic young people. For example, when augmenting spoken language you will need to use non-visual means. Depending on the individual's skills and needs, one or more of the following might be appropriate. a tactile alternative to large print. Minimising clutter helps learners with visual impairment and those with autism to engage with the task and increases the chances of meaningful communication and learning. Magnification of objects using a CCTV or tablet can be helpful because, in effect, zooming in on one object or bit of text minimises the visual clutter. Providing landmarks for young people with visual impairment and autism can help them find their way around the classroom or frequent routes within school more independently. This supportive step can have a positive impact on their autonomy, choice making, and independent learning. Want more? Take a look at detailed examples of good practice in the comprehensive resource for practitioners working with learners with both autism and vision impairment. It’s free to download from our complex needs webpage for education professionals.